Our reviews are based on extensive research and, when possible, hands-on testing. To stay objective and avoid biases, we don’t accept free products or write sponsored posts. Instead, our research is supported by you, our readers. Each time you make a purchase through one of our independently-chosen links, we’ll receive a percentage of the proceeds. Read more about how we’re supported here. Whoever said “making gains” was just for jocks? Our cats are no exception to that rule. Getting the right food for your cat can be a difficult task. There are many brands out there and it can be hard to tell which cat food would be best for your beloved cat. This is why we went out and did a ton of research, in order to find the absolute best high protein, high fiber and low carb cat food for constipation for an optimized and healthy cat diet plan. Protein represents 56% of this food’s total calorie content, a percentage similar to that found in the feline’s prey-based diet. Virtually all of the food’s protein comes from chicken muscle meat and organs, so it’s highly-digestible and relies heavily on the amino acids naturally found in meat. In addition to hearty chunks, flakes, and shreds of chicken, the food contains a smattering of fruits and vegetables. Though the food contains a few high-glycemic ingredients, it’s low in carbohydrate content with around 10% calories from carbohydrate. NomNomNow food isn’t like other high-protein cat food—it’s created by a company that cooks small batches of fresh, human-grade food, packages it according to each customer’s calorie needs, and ships it straight to your door. Every week, two weeks, or once a month, you’ll receive just the amount of fresh food your cat needs. 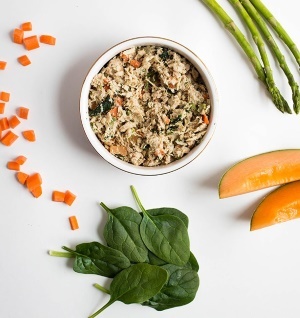 As a custom-portioned, human-grade food that arrives fresh, never frozen and comes with uber-attentive customer service, NomNomNow is more expensive than some other high-protein foods. The food’s price is its biggest drawback—you’ll have to decide if the benefits are worth it for you. One of the top recommend high fiber cat food for constipation. This product is highly recommended for general wellness nutrition programs for cats. Also recommended if your cat is diabetic or suffers from any other chronic health condition. 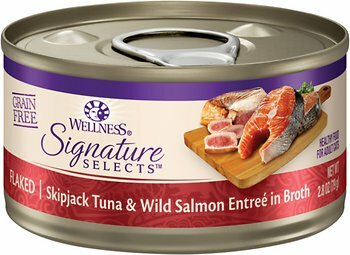 Ingredients include: tuna, mackerel or crab broth (depending on flavor) , Sunflower seed oil, Vitamin E, B12, B3, D3 and A supplements and Folic Acid. Adult cats should be fed 1 can of Tiki Cat per 10 pounds of body weight every day. Grain-free, gravy-free and gently cooked food guarantees healthy and nutritious diets. No heavy starches make for an easily digested meal for your cat. Low carbohydrate content helps in maintaining your cat’s weight and blood sugar. Added broths add flavor and are good for diabetic cats. 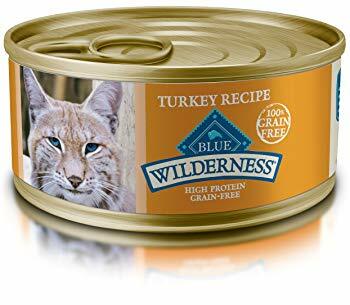 Even though this brand of food contains all natural ingredients, somehow they managed to give the food’s sauce and amazing taste that your cat will love. Ingredients include: Chicken broth, Boneless chicken, Sunflower oil, Vitamin A and D3 supplements. Depending on the flavor you chose, it could also contain tuna, salmon, chicken beef or shrimp. Best served at room temperatures and specially made for adult cats. This food is moist enough to help your kitty stay hydrated, in case it doesn’t drink enough. Approximately 11/2 to 2 cans per 6 – 8 lbs of body weight per day. All the ingredients are naturally blended with no meat side products such as corn or artificial additives. Gives your cat a balanced nutritional diet. Shredded food with delicate cuts of real meat and seafood. Nice selection of flavors that your cat will surely enjoy. This is a high-protein and low carbohydrate product that will be perfect for your cat. This food contains many vitamins and minerals that can keep your cat’s body in good health, with a shiny fur coat and healthy, vital skin. The product consist of: Tender, delectable chunks of chicken and flaky trout meat, easily digestible protein and essential amino acids and Vitamin D3, which will help in case of vitamin D deficiency. Feed your cat about 2 cans per 6 to 8 lbs of body weight per day, and about 1 can per less than 6 to 8 lbs of body weight per day, depending on your cat’s feeding habits. This food is highly recommend for cats that have sensitive digestive systems or related food allergies. Helps in preventing kitty colds as it is packed with vitamins. Natural flavors used for great taste. The low-carbohydrate to high protein ratio is a classic diet which is as close to your cat’s natural feeding requirements as possible. Given the higher concentration of chicken and trout, there is a lot of taste and flavor for your kitty to savor. This amazing product is all-natural with complete and well-balanced nutrition content. With lots of moist and flavorful jelly broth, this will be easy on your cat’s digestive system. 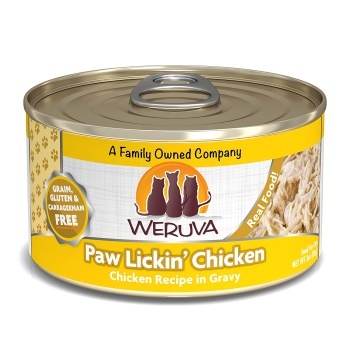 This wet cat food is not too chunky, making it easy to chew, for those felines who like softer textures. Another nice thing about this brand is that all wild caught fish used in the product are guaranteed to have been caught using dolphin and turtle safe fishing. Another great advantage for this great tasting cat food. Super safe manufacturing process ensures great quality product. Quality protein guarantees great nutrition for your cat. Meat used is lean and boneless / skinless, which makes for highly a nutritional meal. A good choice for picky cats. With this product, your cat will enjoy high quality protein, as well as low fat and low carbohydrates content. This all-natural cat food is a great choice for those picky cats, who won’t eat just about anything. Gluten free, grain free and MSG free food will provide your feline with a healthy meal. Some of the products ingredients: great tasting wild caught small fish meat. Packed with vitamin E, B1, A, D3, B2, B3, B12 and B6 supplements. Adult cat should be fed 1 oz. of food for each 1 pound of body weight every day. Will help picky cats have a well balanced diet that they will enjoy. Balanced cat diet that is rich in high-quality protein and low in fat and carbs. If you are a cat enthusiast and really love your pet, you should start thinking of buying high protein low carb canned cat food. Your cat’s health will benefit. Wondering how you can keep your cat healthy and happy with the best food you can afford? You are not alone. Most folks are just like you. Depending on your cat’s activity level, breed, age and other health factors, making the right choice for the benefit of your cat can be easy. Should I consider other foods besides wet food? High protein & low carb canned cat food Often recommended because of its low carbohydrate content means better weight control for your cat, especially for those lazier felines. In addition, canned cat food products are usually supplemented with higher levels of vitamins and omega 3 and 6 fatty acids. Another important reason why you should feed your cat with wet canned foods, is that these are known to have high moisture contents that are important for the prevention of urinary tract problems. If your cat ever has such problems, be sure to check out our recommendations for the best cat foods for cats with urinary tract problems here. These canned foods are more nutritionally balanced, minimizing extreme alterations in your cat’s blood glucose levels. This can be crucial when your cat is diabetic and in need of proper dieting. So whatever your cat’s taste preferences are, you can follow our advice here and rest assure that you will find something that will be just right for your cat. My cat is now diabetic, but we caught it early. He has been on insulin for 2-3 weeks. He is doing great and feeling good! I believe I can get him in remission with the right diet of high protein, low carb wet food. I just don’t know how to find it, since the nutrition percentages are not described on the cans. Please give me some direction! Hi I am in the same boat as you. 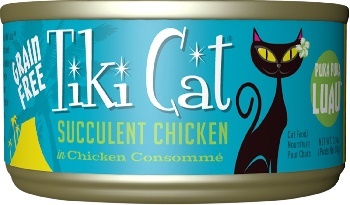 I switched to tiki cats wet canned food the chicken and ahi tuna flavor. Does anyone here know how much carbs is in it? What can flavor has the lowest carb? 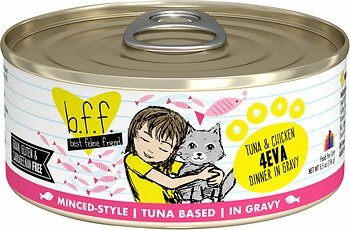 Catinfo.org list the protein, fat and carbs on a large selection of canned cat food. Lots of great nutritional info. You can click on the See Guaranteed Analysis tab to see the protein, fat and carbs on recipe.